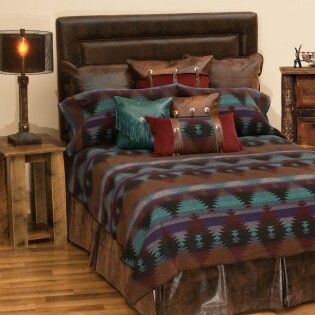 Wrap yourself in desert twilight with the tranquil teals, purples, reds, and tans of the Painted Desert Bedding Sets. 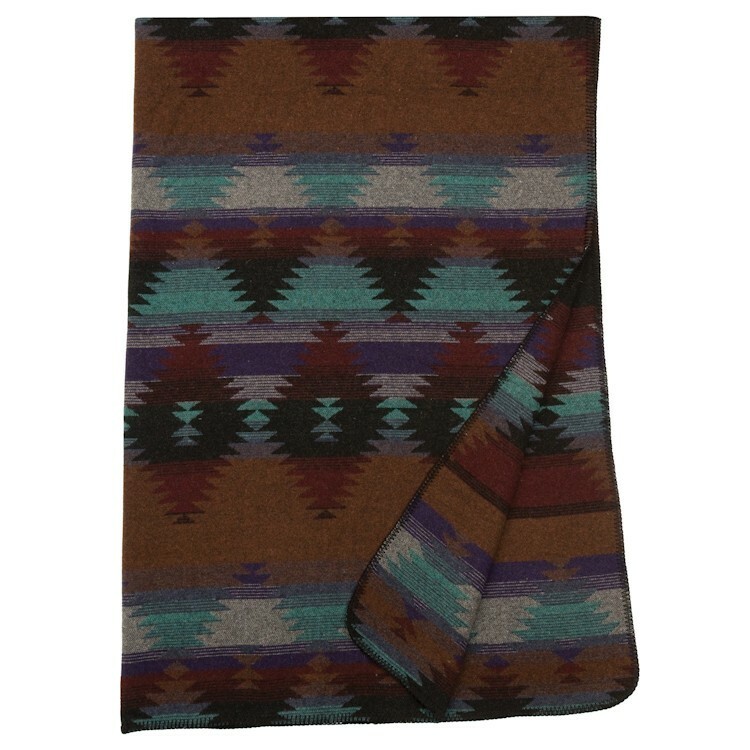 The blanket cover and pillow shams are made from soft, washable wool blend and accented with button hole stitch edges. The faux leather tailored bed skirt completes your ensemble and adds that rustic western touch. 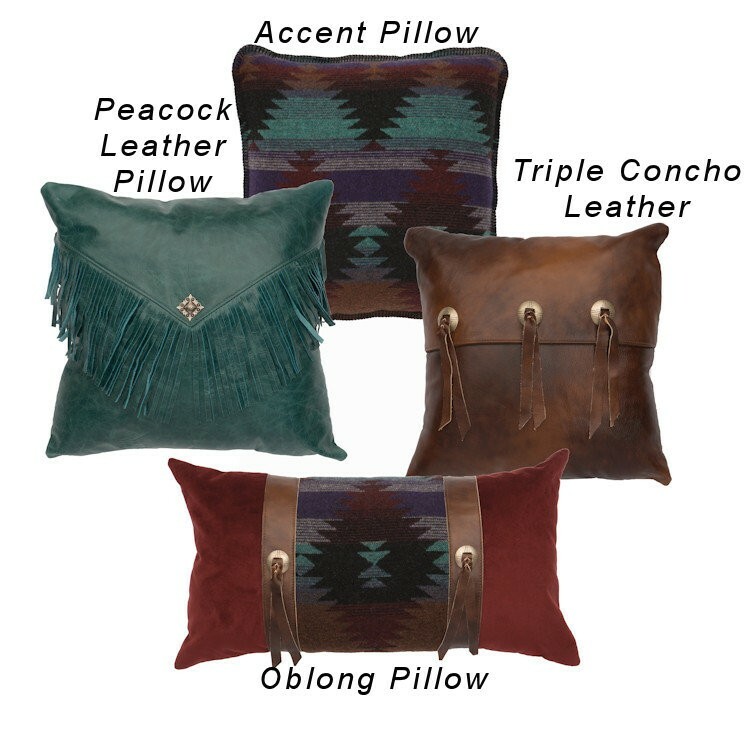 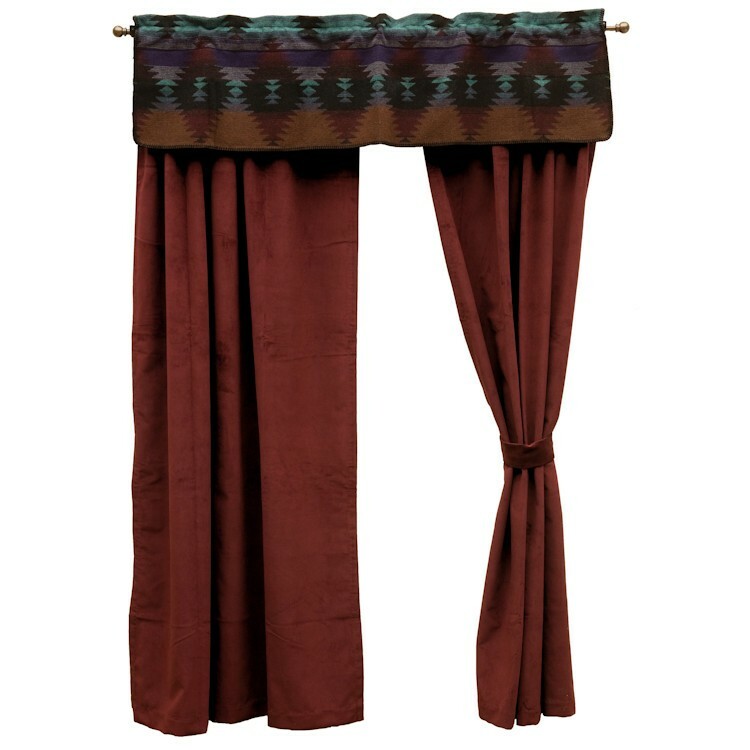 The deluxe and value sets include three euro shams (2 Ranger and 1 Red Wine).